What do you think of when someone mentions ‘risky play’? Maybe it’s “We used to go out to play by ourselves and had to be back by tea-time”. Or maybe you think about the rope swing in the big tree or the time you went so fast down the slope on your bike that you landed in the stinging nettles at the bottom. 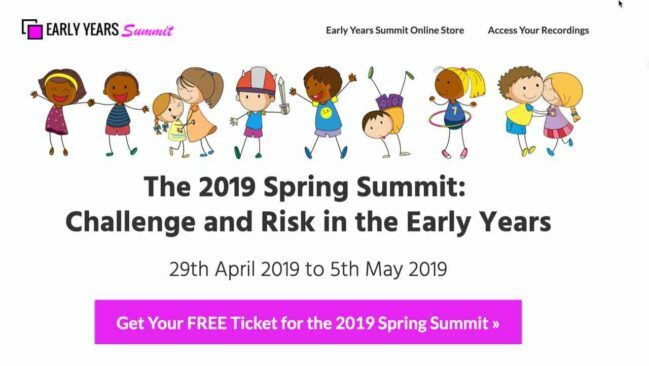 On the 2019 Spring Early Years Summit, I have 15 Early Years specialists and experts from around the world – including Professor Ellen Sandseter – sharing their expertise and knowledge about risky play. Everyone offers their top tips, advice and strategies for risky play, no matter where you are on the risky play spectrum. The past few weeks seem to be dominated by food thoughts. First of all, I had interviewed Deb Blakley, Australian Accredited Practising Dietitian, Nutritionist and mum – who created Kids Dig Food in 2012. We discussed food, children’s body image and the type of eating experiences that children have in our settings. 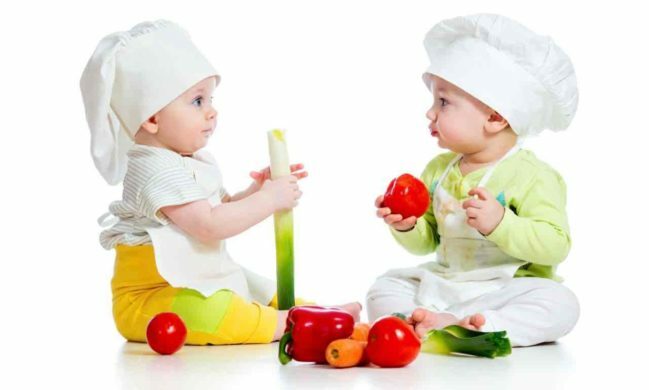 It’s so important that we consider what food times are like for children because these early experiences will help to form children’s perspectives on food, eating and body image. This really made me think about the different ways that we serve food – from rolling snack time to picnics outdoors to preparing food with the children. Are these chosen just for the convenience of the staff and the nursery/setting’s routines? Or do they change according to the cohort of children in the setting that day and time? How are children’s preferences met? How are the nutritional contents of a meal calculated? 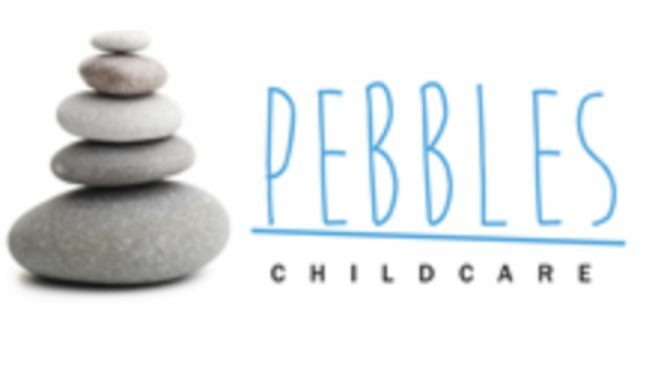 Pebbles Childcare was the first winner of the brand new category ‘Childminding Business of The Year’ at the Nursery World Awards 2018. Bridgit Brown has built up this childminding business, based in Worthing, West Sussex, over the last 3 years, drawing on her 20 years of childcare experience in a huge range of settings. I was therefore delighted when Chloe Webster, who works at Pebbles Childcare, offered to write a guest blog, detailing some of the many benefits of home-based childcare. 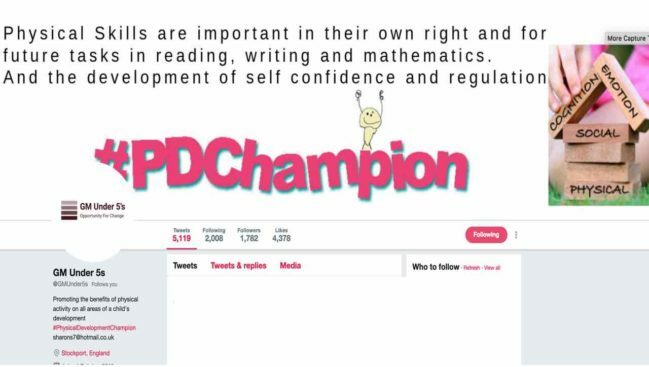 You can see how this good practice supports children’s holistic wellbeing and development. 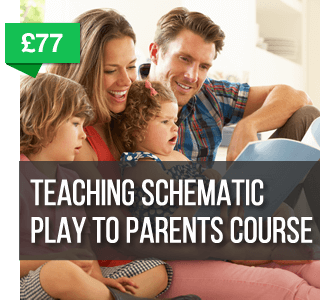 Home-based childcare has countless benefits, despite a sad lack of understanding and recognition from society, other childcare professionals and parents alike, who still struggle to see home-based childcare as a viable career and childcare option. Home-based childcare provides children and their families with a home-from-home childcare environment, which for the parents enables them to build up a friendly rapport with their child’s caregiver, and the process of walking into someone’s home, instantly puts you at ease, making the parent as well as the child feel comfortable. For the children, home-based childcare provides an individual and holistic approach to childcare and with reduced ratios, provides them with a sense of ‘family’ amongst the flexible, real-life learning experiences that home-based childcare has the freedom to provide. 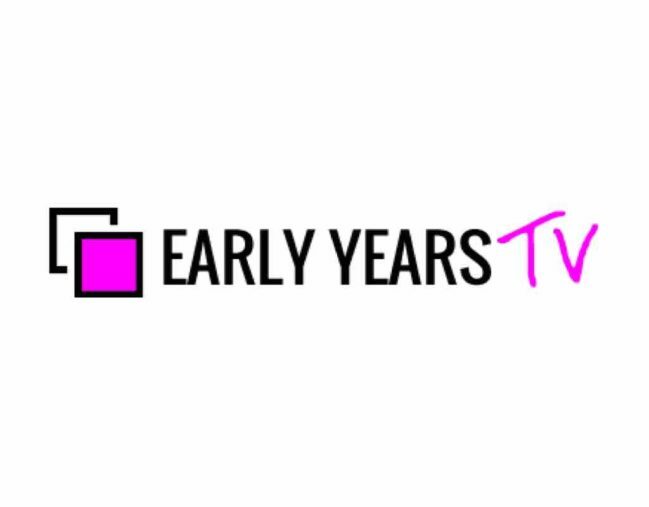 I’m very excited to announce that the Early Years Summit has had a bit of a make-over. 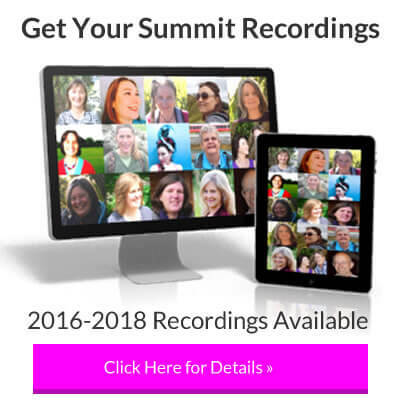 The Early Years Summits are free, regular, online conferences. Twice yearly a group of experts and specialists share their knowledge, research, expertise, and enthusiasm with the world. 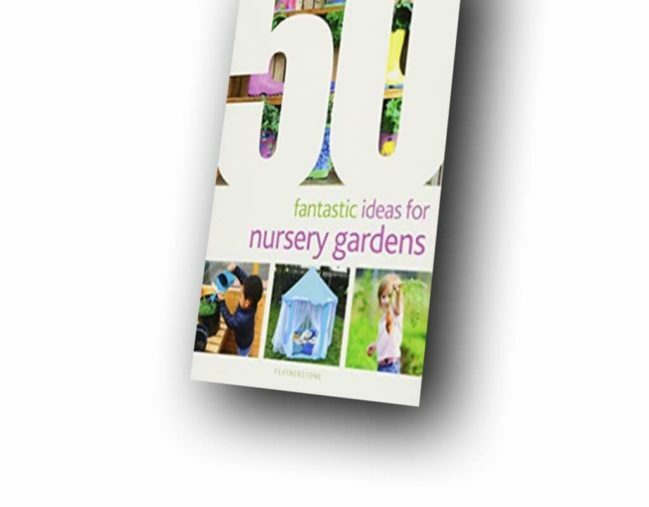 These have had themes such as Quality Interactions; Personal, Social and Emotional Development; Physical Development; Outdoor Play and Learning. As usual, these video interviews are available for free during the broadcast week – 22nd to 28th of October 2018. But this Autumn Summit 2018 has something a bit extra. 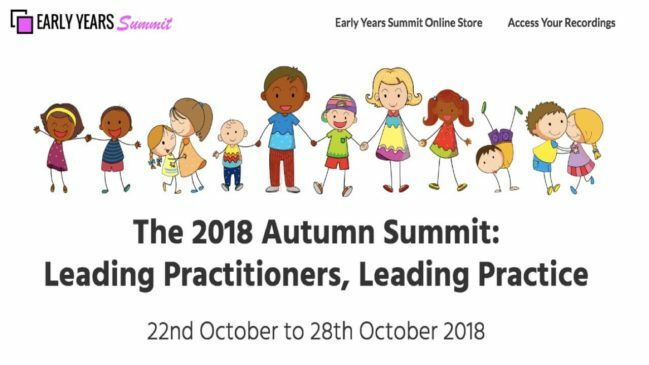 You’ll still hear from leading Early Years experts from around the world, such as Alistair Bryce-Clegg, Christopher Phoenix, Professor Jan White, Rachel Buckler and Sandi Phoenix. 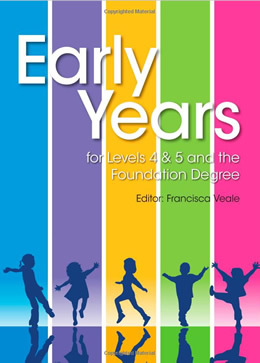 There’s still tons of great advice, thought-provoking discussion and lots of top tips to support your Early Years practice. 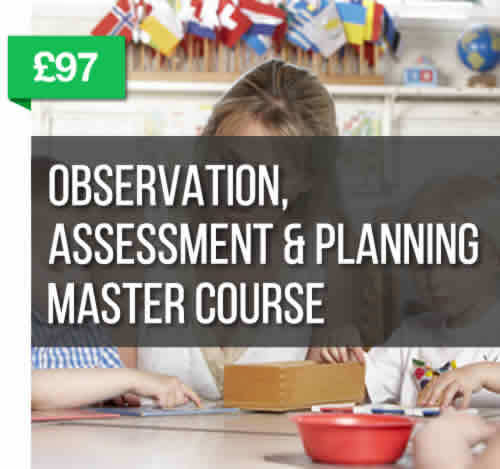 BUT – in addition to all this is a full programme of leading practitioners and educators from around the world, who are doing exceptional things for their children, from unusual environments to reflective safeguarding practices to children’s and practitioner’s wellbeing. These outstanding practitioners and educators explain how they have implemented, grown and reflected on their own practice. They offer real-life solutions to challenges you may be having right now. 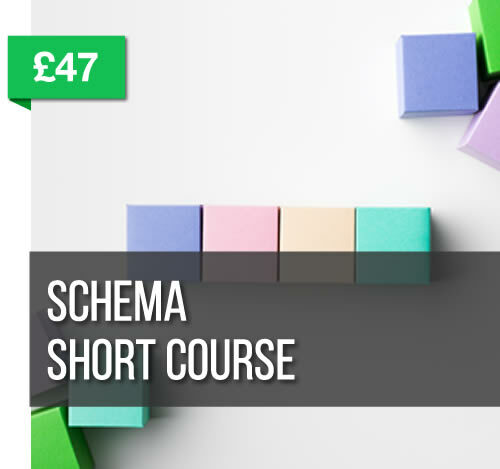 You can learn about their methods and processes. 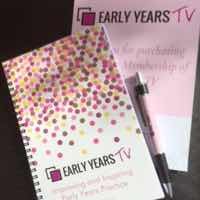 Find out how they are making it better for children and get lots of support and advice to help you do the same. Of course, there are always the ‘top tips’ as well! I’m delighted to have the experience and knowledge of both experts AND practitioners on the Summit in this unique way. What is an Enabling Environment? An enabling environment is one that provides children with appropriate challenges, allows them to explore freely and has plenty of sensory stimulation. Getting the environment right for children will support their holistic development – their all-around, integrated learning and development. 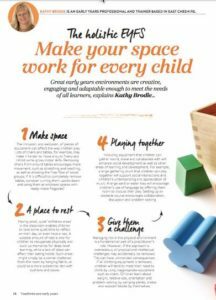 In this article, which was published in Teach Early Years, I’ve given you tips in a number of specific areas that will show you how to provide an enabling environment for your children. 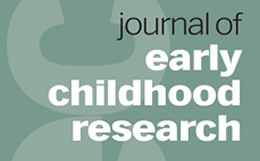 Click here or on the image to download the article. 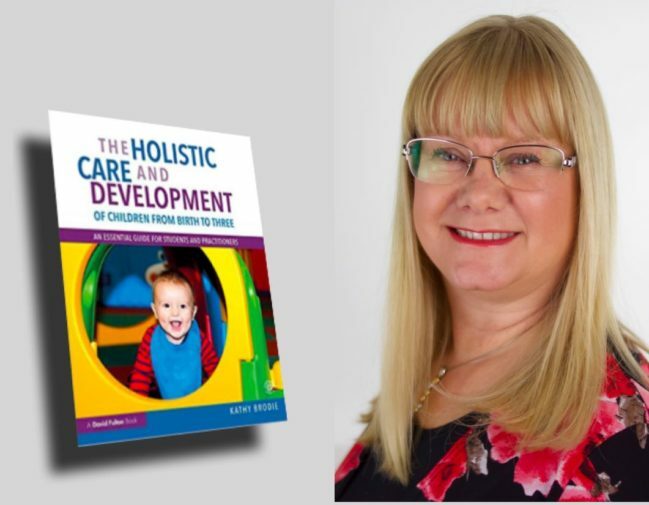 You can find more about Holistic Development in my book The Holistic Care and Development of Children from Birth to Three. Here in the UK, it is now turning cold and the first snows are falling. It’s tantalisingly close to our house – I’ve seen cars going by with snow on the roof – but so far we’ve only had frost. I love the snow for the way that it transforms the whole landscape, deadening noise and turning the black branches of trees into sparkling sculptures. Of course, one of the most magical moments is when children experience snow for the first time. It is worth all the time getting on hats and coats and gloves and boots just to go out to feel this strange substance floating down from the sky. I was waiting to collect my son one day from Reception class, just as it started to snow. 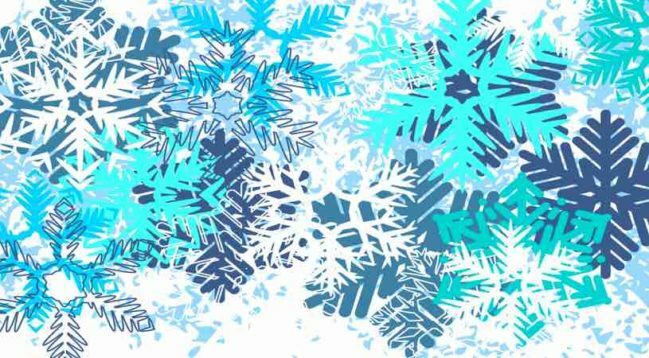 Without exception, every child came out of the door, looked up and stuck out their tongue to catch a snowflake. It was such an instinctive thing for the children to do! Stories such as ‘Owl Babies’ by Martin Waddell and ‘Whatever Next!’ by Jill Murphy can start conversations about being afraid of the dark and the types of adventures that can be had once the moon is out. For older children, there are opportunities to discuss the planets and stars. In the UK at this time, you may be able to see Saturn from dusk in the Southwest sky and possibly Mercury low in the sky after sunset. Even if it isn’t winter in your part of the world – what are your favourite winter activities?